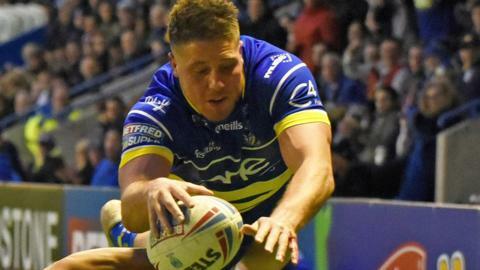 Nine-try Warrington Wolves run riot in the second half to demolish woeful Hull Kingston Rovers in Super League. Jack Logan scores a hat-trick in a record win for Hull FC against city rivals Hull Kingston Rovers. Hull Kingston Rovers' Joel Tomkins scores a stunning try, dummying his brother Sam in the process, during their 16-18 defeat at home to Catalans Dragons. Hull KR and Toronto both win promotion, and it is the manner of those successes that have impressed rugby league correspondent Dave Woods.